This wedding took place at beginning of September just outside Bridgewater. I went over to the bride’s parents house first where she got ready, together with her bridesmaids. I then left the girls to take a few portraits of the groom at the church, just a kilometer away from the bride’s parents house. It was wonderful to capture the groom’s expression as he saw his bride walking down the aisle. 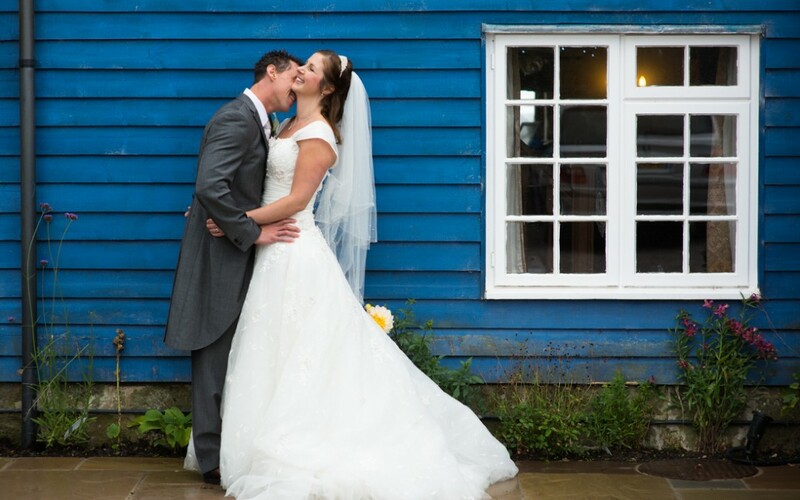 The wedding reception took place at the Coppleridge Inn in Dorset. The blue barn made a great backdrop for some portraits, so did the adjacent woods. All in all a fabulous day! If you are getting married in Bath or anywhere else and you are still looking for a photographer to create a mixture of natural reportage photographs mixed with creative portraits then I would love to hear from you. You can call me on 07984 029 639, email me or fill in my simple & easy contact form. Thank you for taking the time to read my blog, it would be great if you left a comment below, it only takes one minute. You can also keep in touch and see recent updates of what I’m up to by liking my Facebook page.